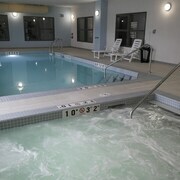 Located in Southside, this eco-friendly hotel is within 1 mi (2 km) of Monster Mini Golf and Southgate Center. South Edmonton Common is 3.1 mi (5 km) away. Southgate Station is 25 minutes by foot. 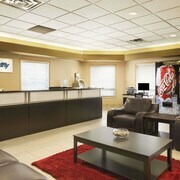 Located in West Edmonton, this hotel is within 2 mi (3 km) of Palace Casino, West Edmonton Mall, and World Waterpark. Oasis Centre and Galaxyland are also within 2 mi (3 km). 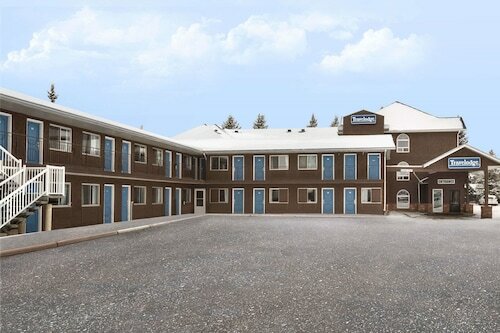 Located in Leduc County, this eco-friendly motel is within 2 mi (3 km) of Doctor Woods House Museum, Fred John's Park, and Maclab Centre for the Performing Arts. 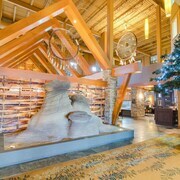 Stone Barn Garden and Leduc Golf and Country Club are also within 2 mi (3 km). 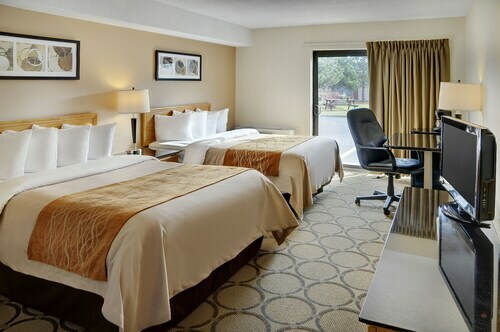 Located in Northwest Edmonton, this hotel is 1.2 mi (2 km) from Yellowhead Casino and within 3 mi (5 km) of TELUS World of Science-Edmonton and Alberta Aviation Museum. Rogers Place and University of Alberta are also within 6 mi (10 km). How Much is a Hotel Room in Edmonton? 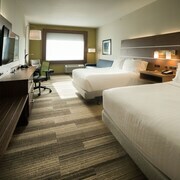 Hotels in Edmonton start at C$70 per night. Prices and availability subject to change. Additional terms may apply. Edmonton is a city with an intriguing history, full of gorgeous turn-of-the-century architecture and fun museums. Many people also love the city for its forward-thinking focus on sustainable practices and organic and grass-fed cuisine. 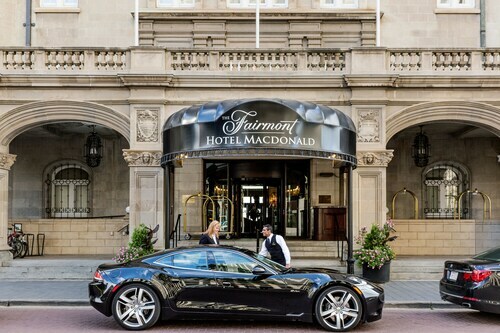 This mix of old and new will ensure your trip to Edmonton, Canada, is a memorable experience. History buffs adore Edmonton, which boasts a variety of museums and historic attractions. One of the best is Fort Edmonton Park, which is the largest living history museum in all of Canada. At Fort Edmonton Park, you can get a true feel for what it was like to live during various periods in the city's history, including the mid 1800s, the late 1800s, and the early 1900s. 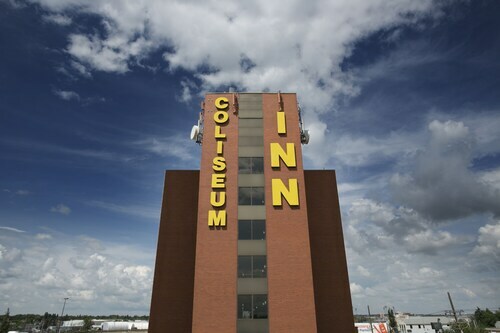 Several structures near cheap hotels in Edmonton are originals, although some have been rebuilt. History is also accessible at the best hotels in Edmonton, many of which are housed in Victorian structures. 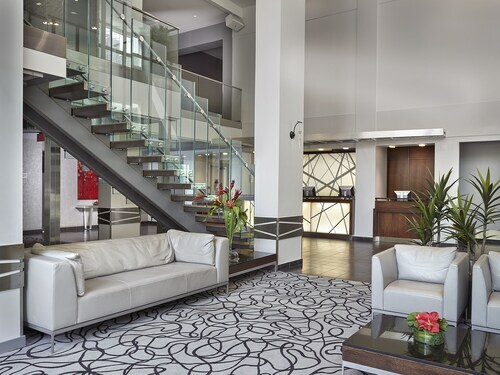 When you stay at these Edmonton hotels, you'll be able to enjoy the historic appeal of their architecture while also taking advantage of the conveniences of modern life. 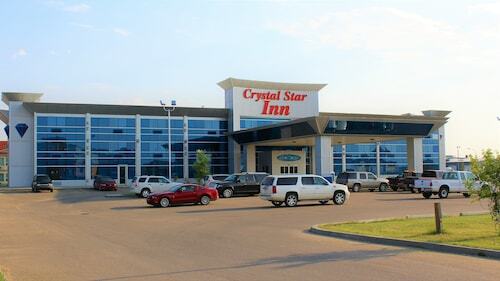 Hotels near Edmonton International Airport tend to be a bit more modern, but they still make it easy for visitors to access the city's finest historic attractions. Local and organic cuisine is a big deal in Edmonton, with many of the city's best restaurants maintaining a focus on sustainable practices. 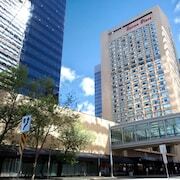 If you're looking to avoid vacation weight gain, you'll have no trouble doing so when you stay at hotels in downtown Edmonton. This is where most of the city's health-conscious, eco-friendly dining establishments are located. If you prefer more carnivorous dining experiences, you'll want to hit up one of the steakhouses along Jasper Avenue. You'll pocket extra money for your dining experiences when you book with Travelocity--save up to $537 when you book a hotel and flight at the same time. The surrounding area was sketchy withd random people hanging about. the inside was nice and clean. Excellent! Very dog friendly... excellent breakfast and wine tasting! Will be back again. 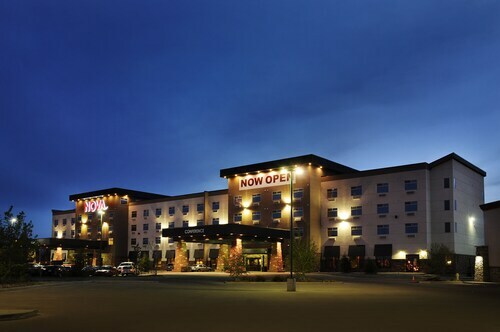 I love the fact we can see a great show, have delicious food, have a little fun at the slots and stay overnight all in one spot!